1. 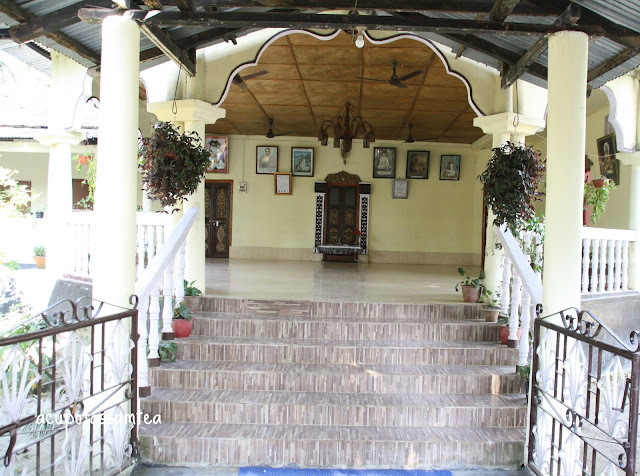 Satras - Visit the Satras and experience the socio-cultural institution of Assam and the institution of Art, Music and culture pioneer of the neo-vaishnavite movement and experience the abundant spirituality. A. If you get a chance, enjoy Satriya dance in the Satras, the classical dance form of Assam. B. Visit the award-winning mask making in Samaguri Satra where the mythological characters get alive in the hands of artists. C. Visit the museum of Auniati Satra; however, you are not allowed to take pictures yet get mesmerized by a collection of art from the history. 2. 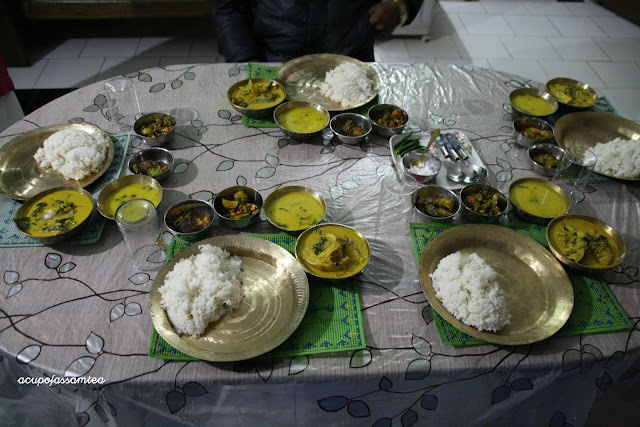 Food - Majuli does not have typical restaurant cultural. Depending on where you stay, you will ultimately get a chance to indulge in local assamese cuisine. Mild yet delectably cooked assamese food. 3. Wear a Mekhla Chadar- It is not mandatory to wear the traditional outfit in Majuli. When you visit Satras, you see most people in their traditional attire. 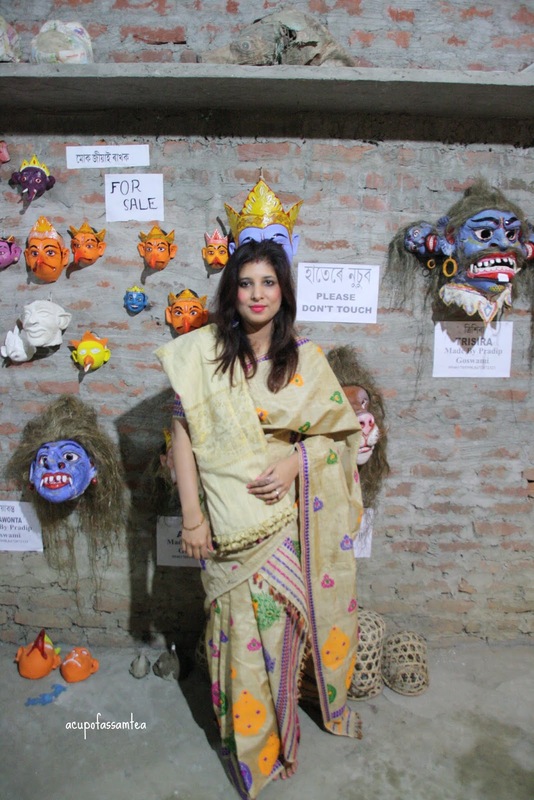 You can enjoy wearing mekhela chadar and amalgamate with local people. 4. Nature - After all, Majuli is a natural enigma with numerous wetlands, an abundance of rare birds, blooming mustard fields, squeaky bridges and the tribal huts in the horizon. Personally, I enjoyed the sunset in Majuli. It's magical and ethereal how the sun sets the day in this mystical place with the golden glory. 5. Culture - Last but not the least experience the diverse culture. 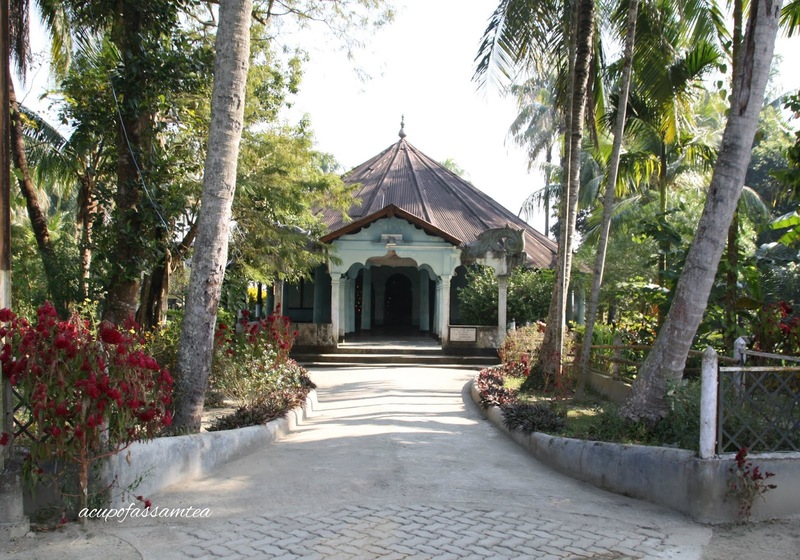 Majuli is a land of unity in diversity with different community like Mishing tribe, Kosari to Deori community. 6. Shopping - Shopping in Majuli is entirely different experience than a typical touristy place, yet you have plenty of things to collect. 1. You can buy pottery and mask wholly different from a regular mask. It's associated with mythology. 2. Majuli is known for small handicrafts, to be precise a part of the population survive on a craft. You can buy handcrafted lamps, shoes, and bags, etc. 3. Unlike handcraft, handloom is also something that provides bread and butter to one of the population. Colorful and vivid designs are something you want to buy weather on a traditional Assamese mekhela chadar or scarf or vest etc all in the indigenous fabric. 4. 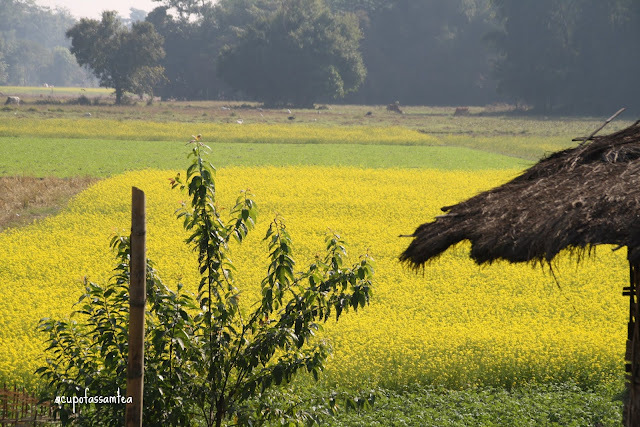 I don't know whether you consider it on your shopping spree, but Majuli is undoubtedly one fertile land. Local grown veggies and fruits or locally produce oil or jaggery is something you can definitely considering to buy. 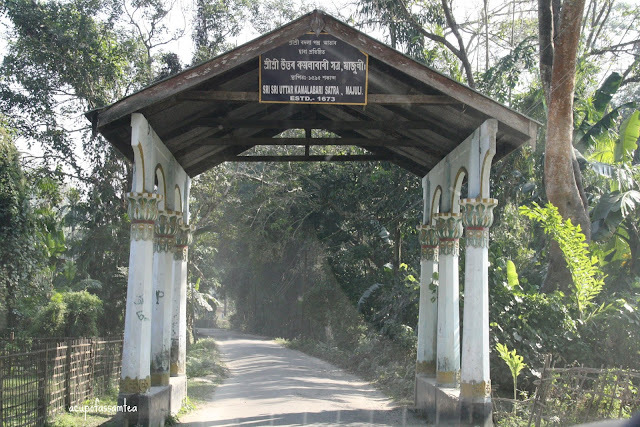 In the whirlpool of time, Majuli has not lost its aura and ethereal charm. Majuli is a true witness of human creativity and perseverance after many natural disasters, yet it not only survives but crusades. 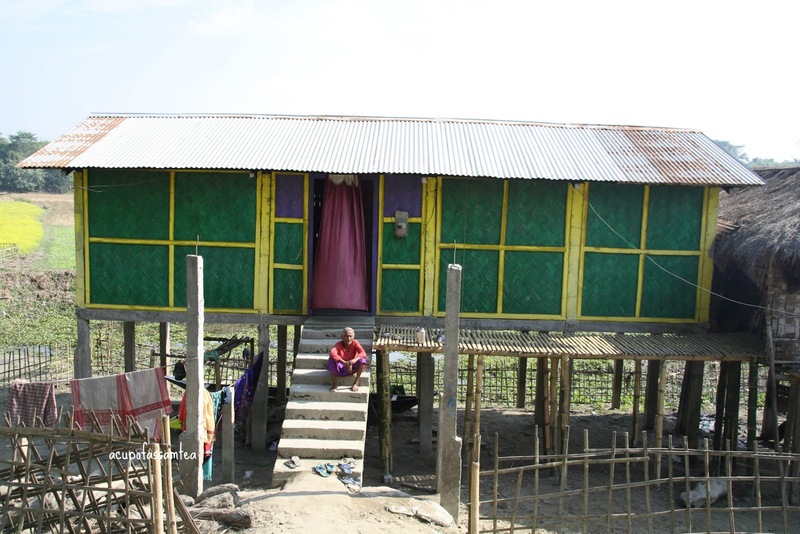 Majuli is a spirit and a hope that nothing can take away. 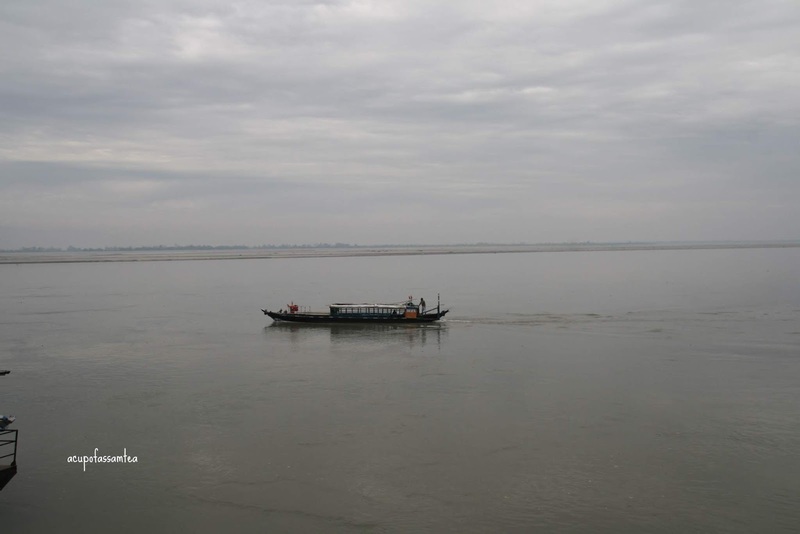 Do visit Majuli and lose yourself in the old world charm and yet find yourself again. It seems that I would enjoy exploring Satras one day. I am hoping to see and experience what a "Satriya dance" is like. Waow !! just so beautiful ! I would love to visit one of these places one day !Beautiful pictures ! Gosh, this sounds amazing! I would definitely love to experience a rejuvenating retreat in another land! I hope I could go to India soon. It's one on top my bucketlist to experience the culture. 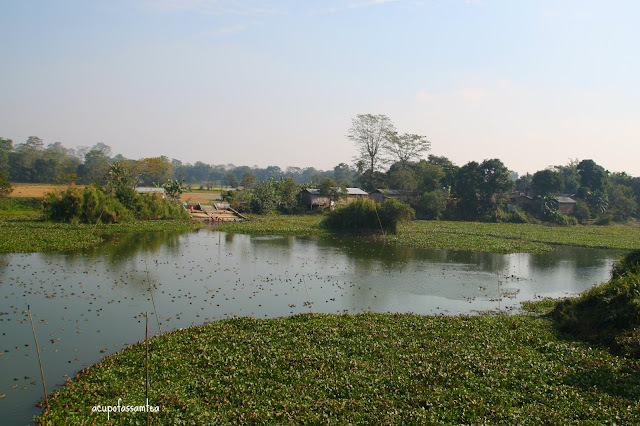 Majuli seems like a place I would be spending my summer this year. It looks so peaceful which I hope to bring with me. The shopping sounds like my kind of place. I love to purchase items that you can only get from the area that you are visiting because it makes them a great memory of the trip. This sounds like an amazing place to visit and skip out on all the crowded touristy stuff. I will certainly be adding this to my potential places to visit list. Majuli looks like such a beautiful place to visit (and even live if you are a local). Everything looks so serene. And what an experience it must be to truly experience another culture. This looks right up my street! LOVE Indian Cuisine, temples, and nature. So I'd be right at home here! Looks like such a relaxing retreat! I love quiet getaways that have a unique and personal touch to them. This looks like one of those. I hope you had an amazing time. Majuli is such a beautiful place. It is so relaxing. Thanks for sharing. You look gorgeous, dear! 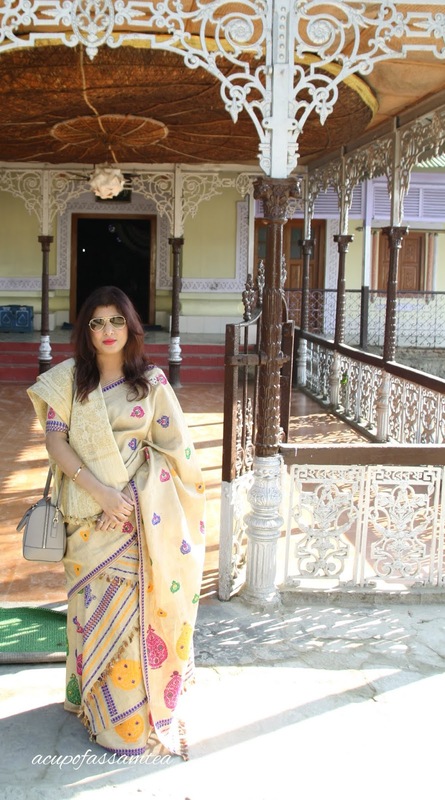 Thank you for this article about Majuli. The place looks very pretty! 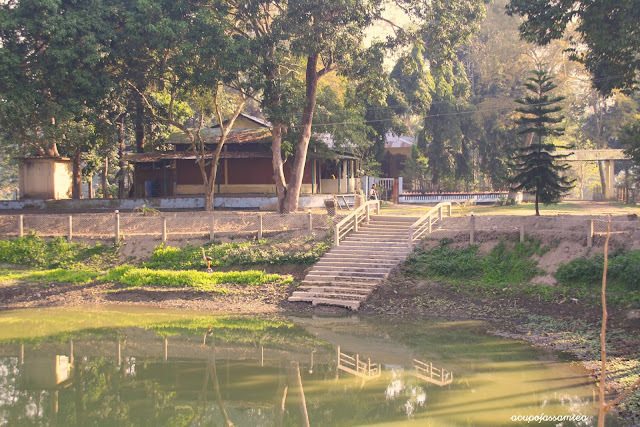 Majuli looks like the perfect place to go for a retreat. I enjoy going to different places and finding places to just be and enjoy myself. I have not ventured out enough in life. I've never heard of Majuli but it looks like a place my family would love to visit. It must be great to retreat into this calm, solemn place. One could definitely relax and unwind here. What a great place to visit. I never heard of this place, but after all, we can hear about all the amazing places that are in this world. I have to pin this post so I could share those great photos with more people. Majuli sounds like an amazing place! I love to travel in general, but when I can travel to a place that rejuvenates my spirit, that's a huge bonus. Retreat is the PERFECT way to describe this place - along with the word OASIS because this just looks like such a magnificent ESCAPE!! And I could use one of those right now! This sounds like a such an incredible place! The location seriously looks so serene and beautiful. I'd love to visit here one day. Wow what a stunning looking place for a retreat - I have to admit I would just love to go here and spend some time relaxing and unwinding. Very informative with great resources and cultural awareness for outsiders. This looks like such a beautiful place! I like the idea of going on a retreat to refresh ourselves. Getting to experience it in a new culture with that beautiful surroundings sounds amazing! That looks like such a beautiful place to be. I bet it's so relaxing there as well. I'd love to visit some time. I think it would be a nice getaway. I would love trying the food! The culture seems so interesting and love the clothing but most of all would love to try Satriya dance in the Satras! So many cool places. I want to try those foods, look so delicious! This sounds like such an amazing experience. The food, the culture, and the serenity all rolled in to one! I wished I could travel more. This place would be a must on my bucket list! This would be such a cultural experience for me. I'd love to visit one day! I wish I can experience a live Satriya dance in majuli one day. It all sounds so good. I also love those masks. Lovely article!